Find different ways to use the Novocall widget here, aside from the traditional website widget. 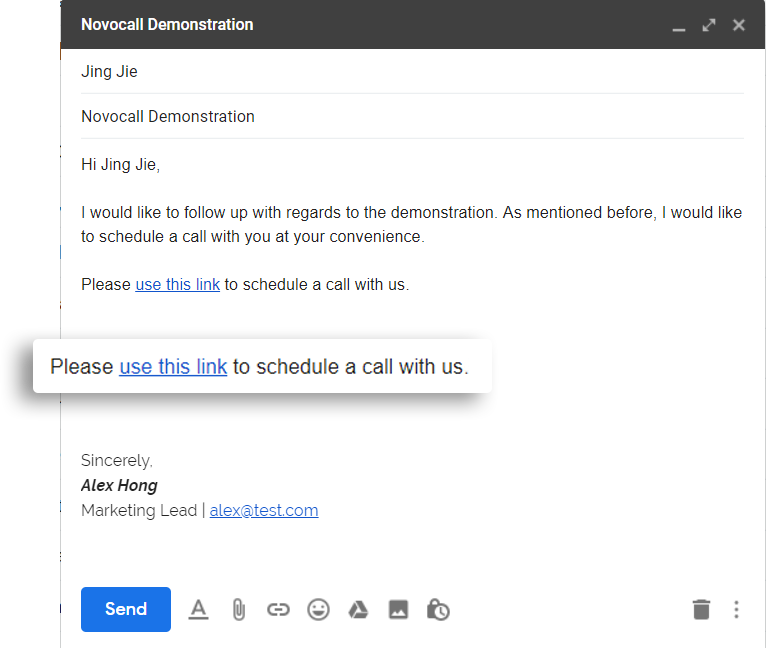 In the Installation tab, you'll be able to install the Novocall widget as a traditional widget, or embedding as a link to your emails and CTA buttons. A simple 2 minute set-up of the widget. Detailed instructions here. Instead of installing the widget onto your website, you could also embed a "Callback Page" as a link to emails or CTA buttons. Emails: Find out how you could use it for emails here. You could also embed the Callback feature as an iFrame in your website.